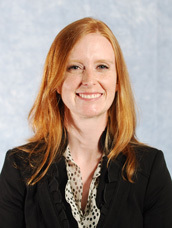 Sarah Searles is the K-12 Specialist in Library Media Services for the Knox County Schools in Knoxville, Tennessee, where she serves 87 librarians, 5,000 teachers and administrators, and nearly 60,000 students. Prior to entering district leadership, she was a librarian for five years at West High School in Knox County, where she and her co-librarian were honored in 2011 with their library’s designation as a stop on AASL president Nancy Everhart’s Vision Tour. While at West, Sarah’s work focused on innovative instructional practices to respond to the changing needs of digital natives, with a special emphasis on building students’ research skills to support the requirements of the International Baccalaureate Extended Essay. In her central office role, she is working to extend instructional focus and build leadership capacity among the librarians in her district. Her transformation work through the Lilead Fellows program is focused on raising collective expectations of librarians and library programs, both inside and outside the profession, in order to build a framework for breaking down longstanding barriers to successful practice.